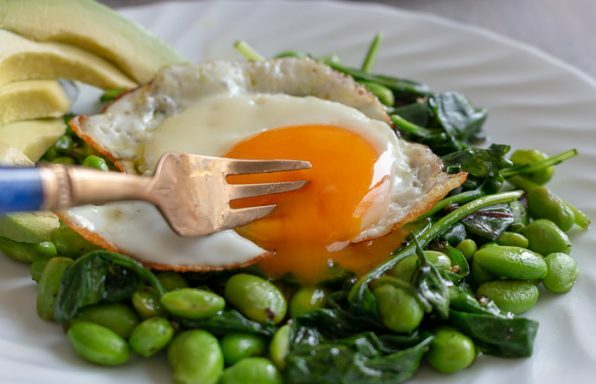 Have you ever tasted a pea shoot before? Pea shoots are the young leaves of a pea plant. Pea pod micro greens can be from snow peas, English peas, or really any breed of pea. Today we are cooking with the pea shoots from snow peas. 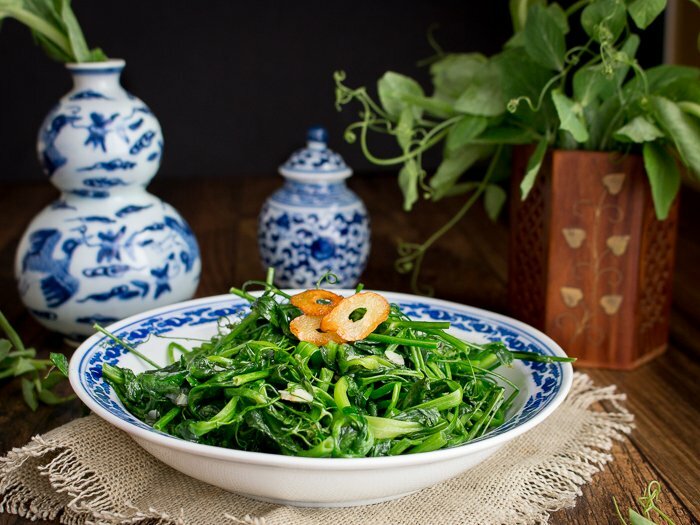 Snow pea shoots is 豌(wān)豆(dòu)苗(miáo) in Mandarin. 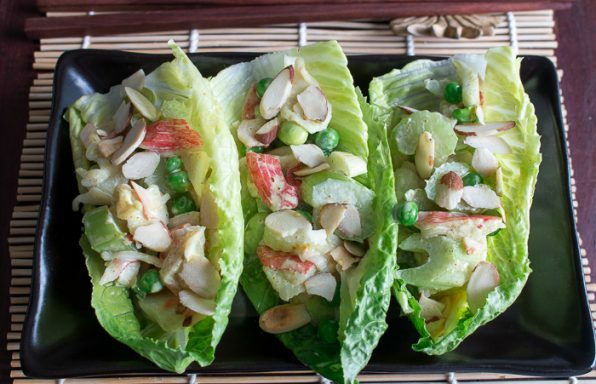 They taste exactly like the delicious sweet snow peas and are super fresh and delicious. 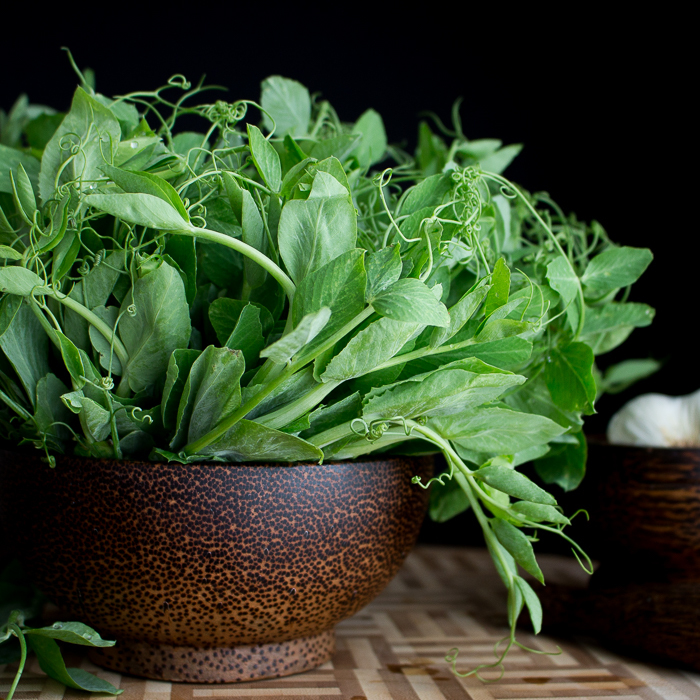 You can use fresh pea shoots in many ways such as placing them in a fresh salad, or tossing them in a soup. However, today we made a 5 Minute Stir Fried Garlic Pea Shoots to highlight the delicate flavors of the pea shoots. Do you like to go to the Farmer’s market? 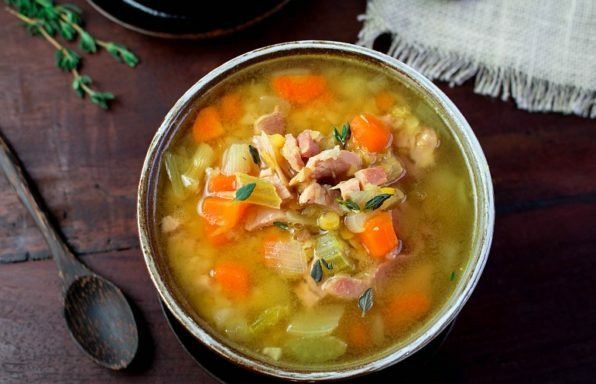 We absolutely love obtaining the freshest just picked organic veggies in season. 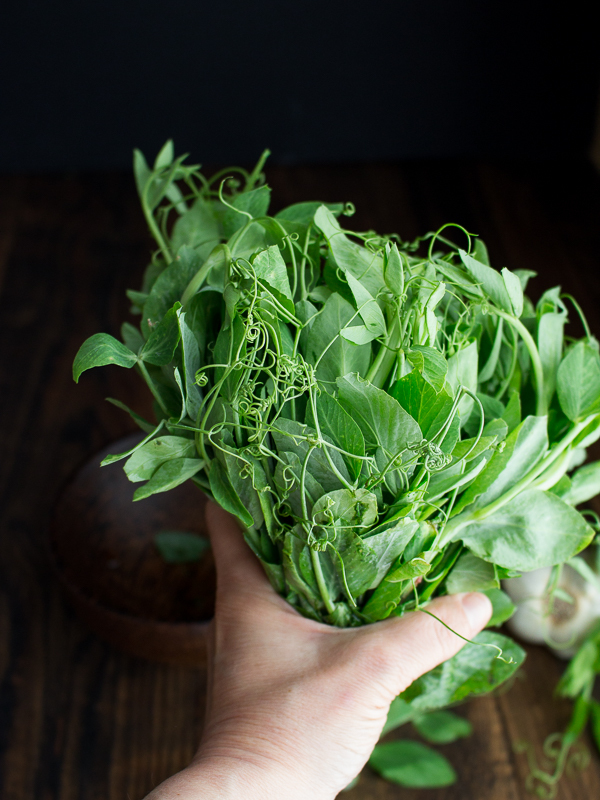 In season, right now are pea shoots. Grab them while you can! 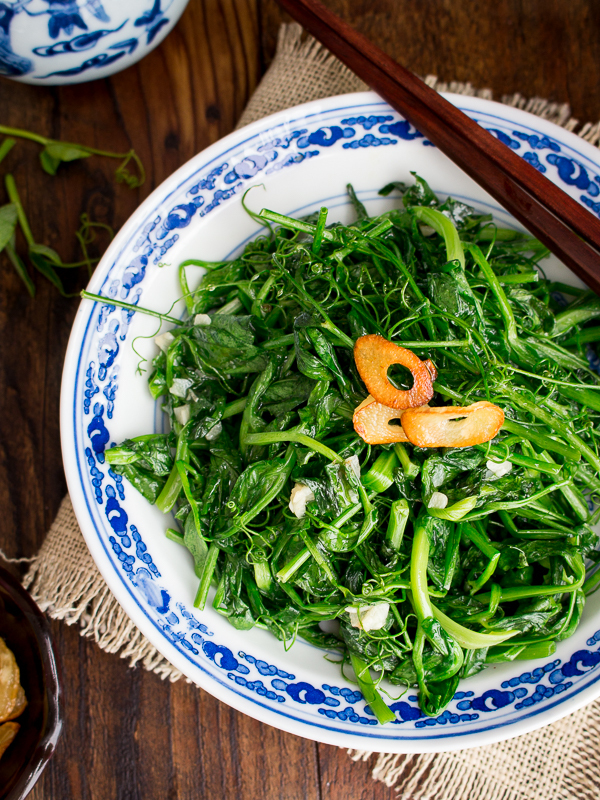 The only decision you will need to make while preparing your 5 Minute Stir Fried Garlic Pea Shoots is if the stems are tender or not. We had a few stems that were more mature so we removed these and left only the tender ones. 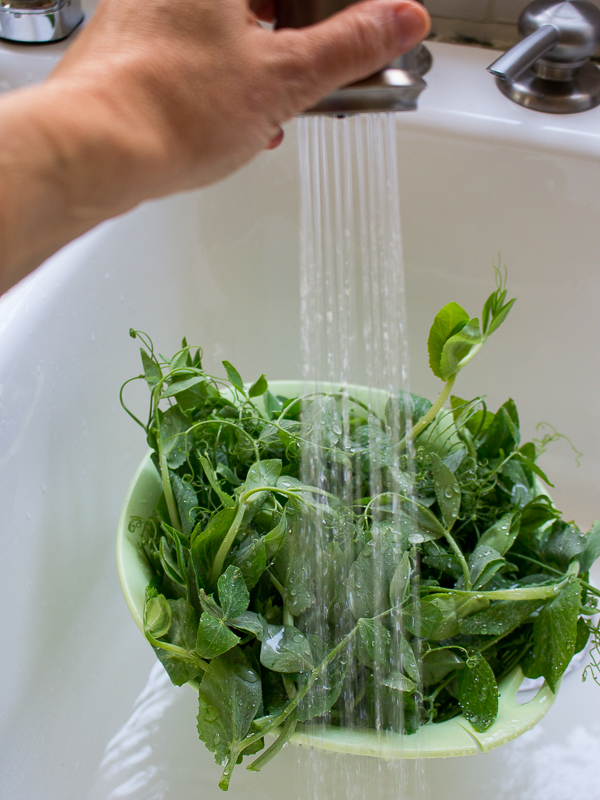 Most generally, the pea shoot greens are tender and they just need to wash well and pick over for anything that does not belong. Sometimes, farmers harvest the pea shoots too late and the stems can be tough. No problem just use the pea shot leaves. Super delicious. Do you have these 4 ingredients in your home; fresh garlic, oil, sesame oil and salt and pepper? Awesome, that is all you need! 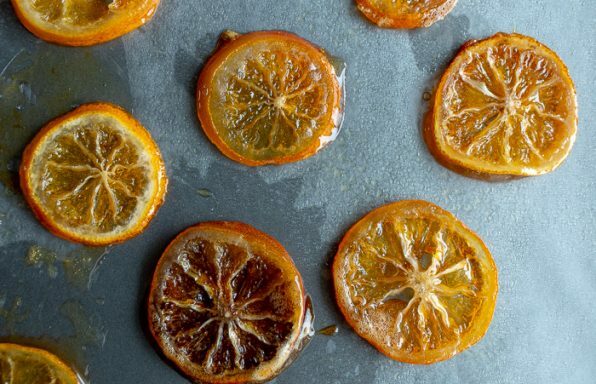 5 ingredient and 5 minutes, it does not get better than that! 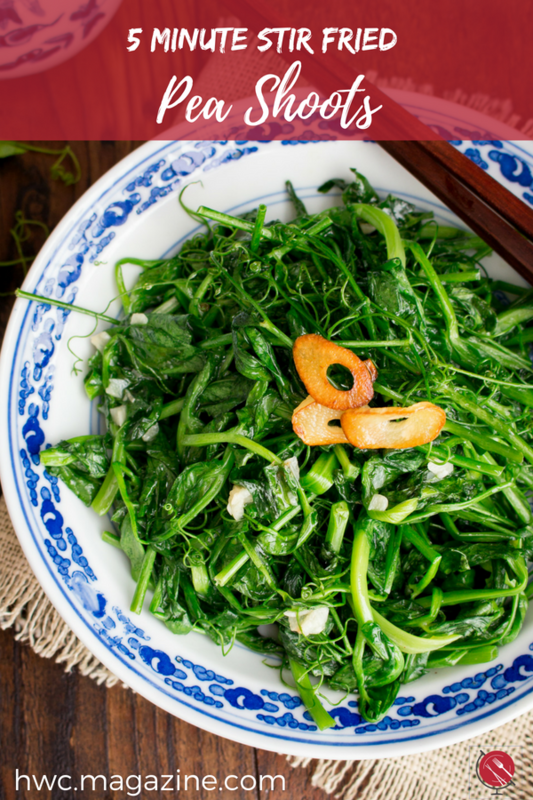 5 Minute Stir Fried Garlic Pea Shoots would be a great side dish for our Clean Eating Shrimp Stir Fry and our Spicy Pan Fried Beef Bao. Now you may be saying to your self, this looks like a plate of weeds. 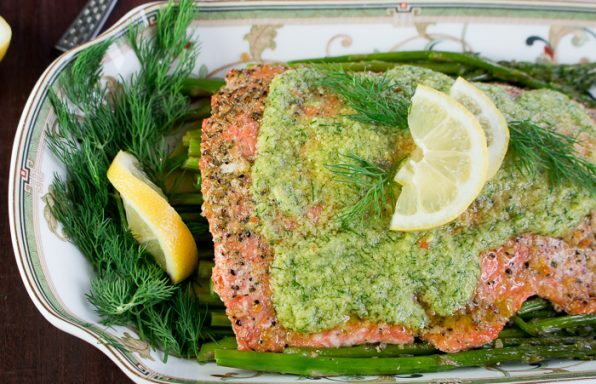 This is the most delicious plate of weeds you have ever eaten. Try something new. We know you will like it. 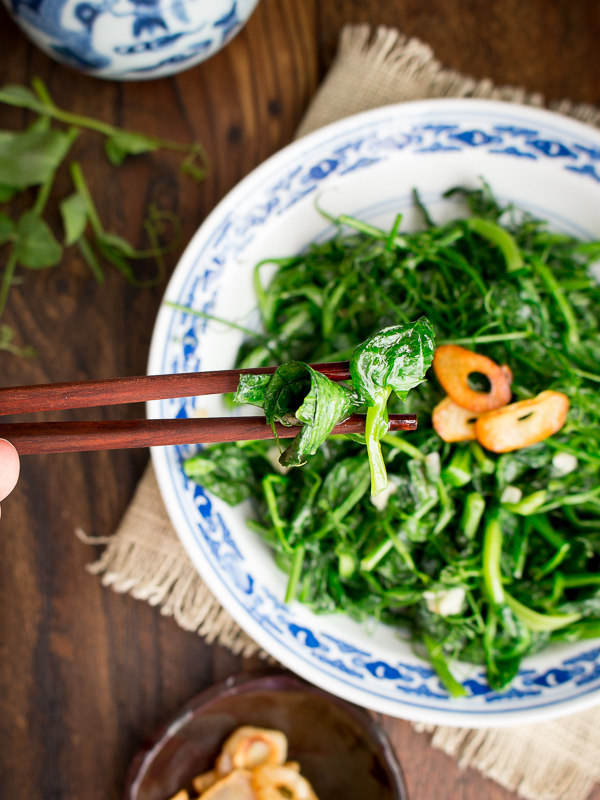 Pea shoots have a whole host of health benefits. Not only will you not have to worry about vampires as this dish has over 3 cloves of garlic in it… Hey, just checking to see if you guys were still with me… In addition, pea shoots are high in anti-oxidants, anti-inflammatory, great addition to a diabetic diet and can help promote weight regulation, vitamins and minerals and are high in fiber. 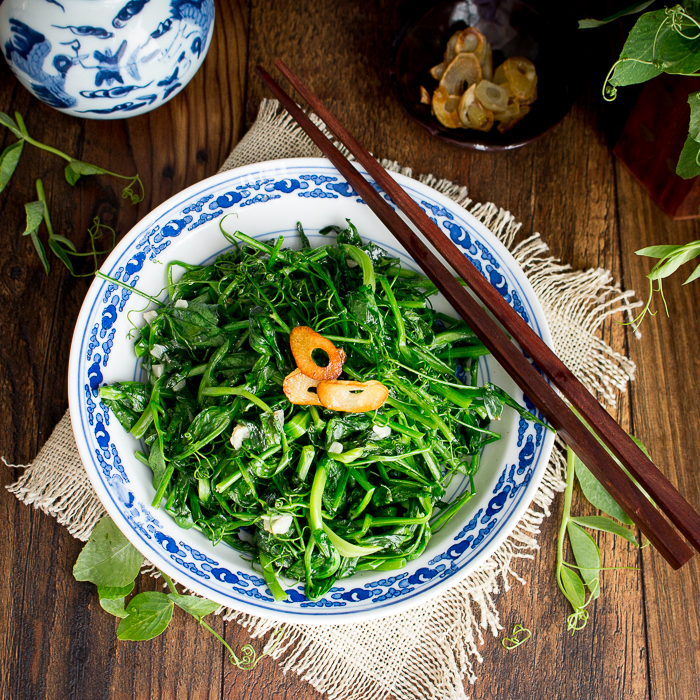 Pea Shoots are considered a cooling vegetable in Traditional Chinese Medicine so combining it with warming garlic brings balance to the dish. Our Introducing the Five Energies of Food post explains this in more detail if you would like to know more. 1Place your olive oil in a wok or frying pan. Add 2-3 cloves of minced garlic and sauté just until aromatic. Add your pea shoots, salt and pepper to taste and cook for about 2 minutes or until wilted but bright green. 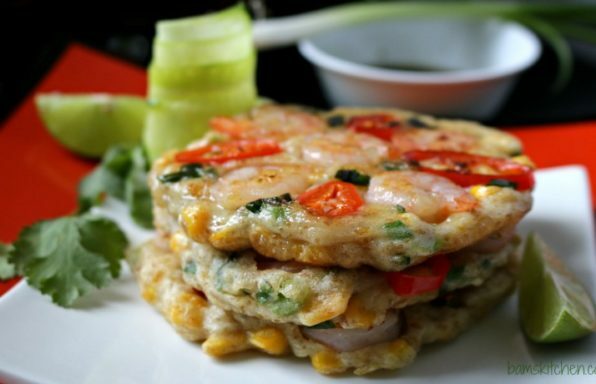 Drizzle with sesame oil. Toss and remove from wok. 2If you like extra fried garlic, place the slices of garlic in the pan and fry just until golden (optional) Place your fried garlic garnish on top of your stir-fried pea shoots.